Condemning the suspension of a teacher and demanding that he be reinstated, students of a government school staged a protest near Vikravandi on Friday. According to a source, around 500 students study at the government high school in Mundiyampakkam village, which has been achieving 100 per cent pass percentage in board exams in the last five years. Recently, maths teacher Sundramorthy was suspended and transferred for taking part in the JACTTO-GEO protest last week. So, he did not come to the school for the last two days. While other teachers started coming to school, students had been expecting for Sundramorthy's arrival. On Friday morning, they came to know about the suspension, which irked them to boycott classes. They locked the main gate of the school and sat at the entrance, staging a demonstration. The headmaster and teachers tried to convince them, but the students refused to withdraw the protest. Later, cops assured the students of talking to education department officials in the regard and requested them to end the protest. Yet, the students continued the protest. Supporting them, their parents and villagers too gathered there and took part in the demonstration. Upon information, district chief education officer K Munusamy and district education officer Anandhan arrived at the spot informed the students that they took action against the teacher as he had taken part in the protest. Also, they asked the students not to interfere in the issue. 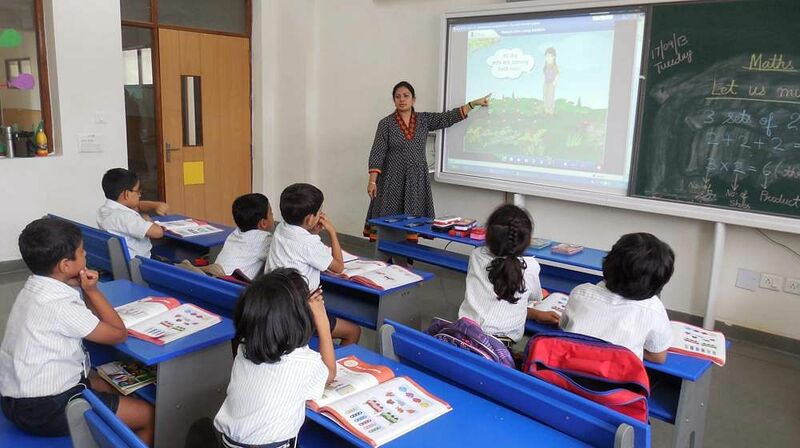 CEO told the students that the teacher had been transferred to a government school in Kandachipuram, while another maths teacher, named Sinthamani, was transferred to their school and he would join soon. He advised the students to concentrate on studies, rather than staging a protest. Later, students withdrew the protest and went to classes. The CEO took a class for a while in the school, the source said.